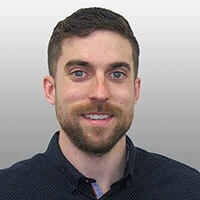 PORTSMOUTH – TFMoran’s Portsmouth division has welcomed Eric Salovitch to their team as a Survey Technician. Salovitch is a S.I.T. certified crew chief with many years of experience in the industry. His education includes studies at the Thompson School of Applied Science where he studied Civil Technology with a concentration in Surveying and Mapping. In addition to complex boundary surveys, Salovitch has experience in topographic, municipal, and utility surveys.